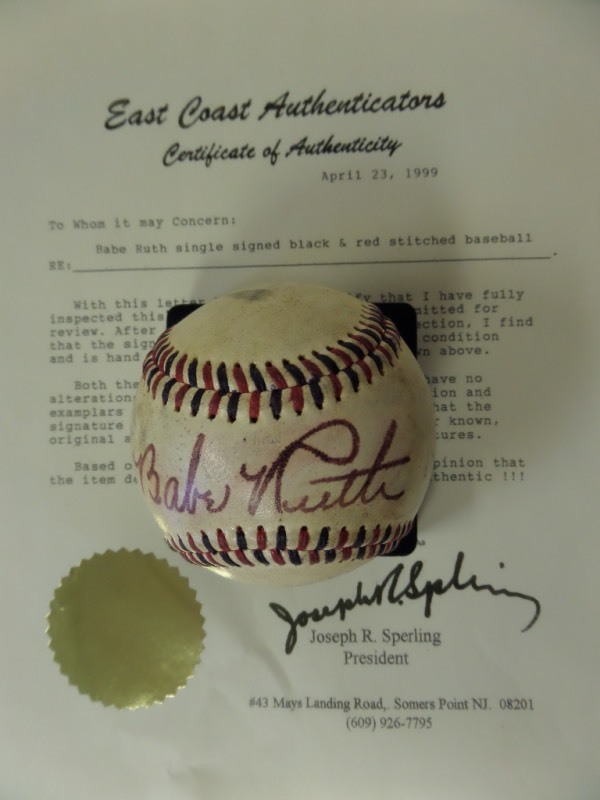 Coach's Corner - Babe Ruth single signed/certified vintage baseball! Go Back to Lot List Babe Ruth single signed/certified vintage baseball! This vintage red and blue-stitched baseball is in G+ overall condition, and comes hand-signed across the sweet spot by the great Babe Ruth! Signature is a slightly bled 6-6.5, and the ball comes with a COA from East Coast Authenticators. Valued well into the thousands, with a low, low minimum bid evident!